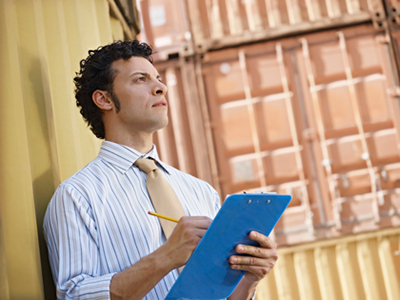 Exploring fleet management training courses? Ranken’s comprehensive training prepares you to succeed in fleet management careers. Does a career in Fleet Management sound right for you? You love working with cars, and you’re also interested in building a career in fields like local government, higher-education, rental car companies and law enforcement. You’re fascinated by large organizations, their best practices, and how to make them run more efficiently. You can see yourself rising to a management position – you just need the skills to get the job! Why choose Ranken for fleet management training? Companies with large fleets of vehicles need qualified automotive experts to manage those fleets. Local companies like Ameren and Enterprise Rent-A-Car — as well as St. Louis City, St. Louis County and many local police departments — all need fleet managers. Students can now take our new National Association of Fleet Administrators (NAFA)-approved training classes to become a Certified Automotive Fleet Manager (CAFM) or Certified Automotive Fleet Supervisor (CAFS). Students in Ranken’s fleet management training courses learn about fleet management principles and best practices from multiple organizational perspectives. Program graduates are well-rounded fleet professionals who are prepared to successfully manage a variety of fleet types throughout their career. Our Fleet Management program is now available to students majoring in Automotive Collision Repair Technology, Automotive Maintenance Technology, Diesel Technology and High Performance Racing Technology who wish to minor in Fleet Management. Management are required for the minor completion. All Fleet Management courses are presented online, and the total credits required to complete the minor are 12 credit hours beyond the major.